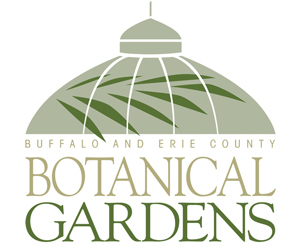 Because you are a reader of Buffalo-NiagaraGardening.com, you can take advantage of a couple of coupons from Badding Bros Farm Market, 10820 Transit Rd., between Millersport Highway and North French, East Amherst. With the first coupon, get 20 to 50 percent off all ceramic pottery on Mother’s Day weekend, Friday-Sunday, May 12-14. A plant in a lovely pot makes a great gift. 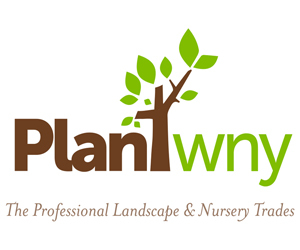 Pick up pots for your own yard as well. 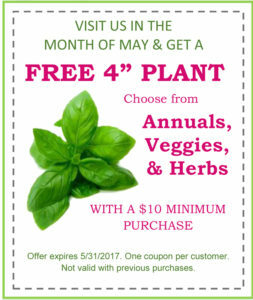 With the second coupon, get a free four-inch plant with a purchase of $10 or more. You can choose from annuals, vegetables and herbs. See details on the coupons, which are right in this post. You can also see the coupons on the Badding Bros site. You can print out the coupons and take them to Badding Bros. Or you can just show the page with the coupons on your phone to the staff when you check out. See the Badding Bros website for up-to-date hours.